Comparison of economic performance over time is a key factor in economic analysis and a fundamental requirement for policy-making. Short-term indicators play an important role in this context by providing such comparison indicators. 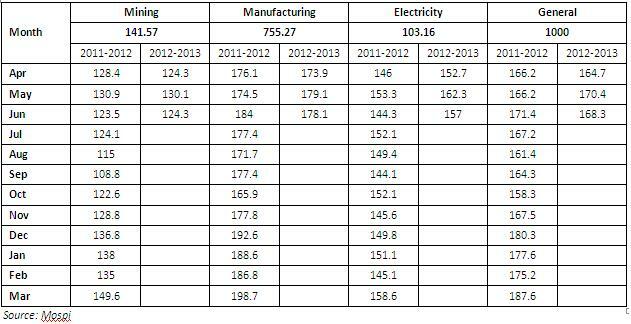 Among these short-term indicators, the Index of Industrial Production (IIP) has historically been one of the most well known and well-used indicators. The IIP measures volume changes in the production of an economy, and therefore provides a measurement that is free of influences of price changes, making it an indicator of choice for many applications. The all India IIP is a composite indicator that measures the short-term changes in the volume of production of a basket of industrial products during a given period with respect to that in a chosen base period. It is compiled and published monthly by the Central Statistics Office (CSO) with the time lag of six weeks from the reference month. 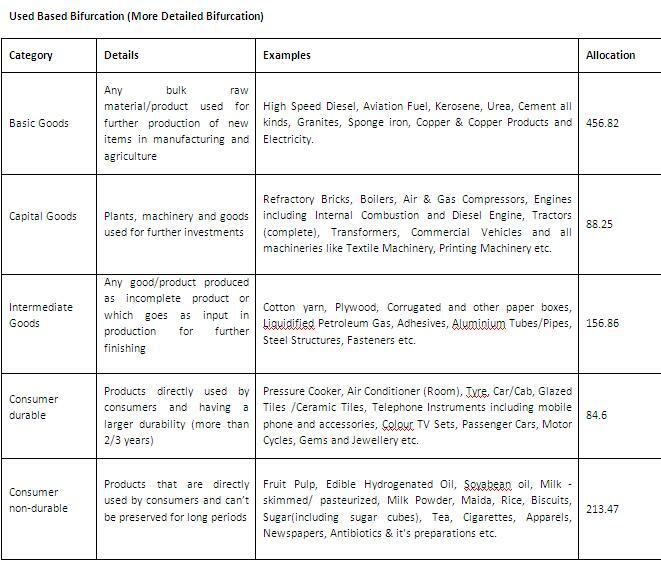 Above table was sectoral bifurcation. In the same way one can imagine use Based Bifurcation. Low IIP suggests slow growth which in turn is detrimental to overall GDP Growth. Low Manufacturing Data suggests businesses are either finding it difficult to increase production or they are simply pushing back major expansion. This could mean fewer jobs going forward. Low Capital Goods (I haven’t included use based bifurcation) number suggest that companies are just not buying new equipment. Capital goods are basically machines and equipment used in the production of goods. A negative number means that output of such machines is well below the baseline used for the series, and a clear pointer that companies are not interested in increasing their output until they see a change in the economic environment. Consumer durables normally splurge during festive seasons. There has been criticism as well for accuracy of the data.